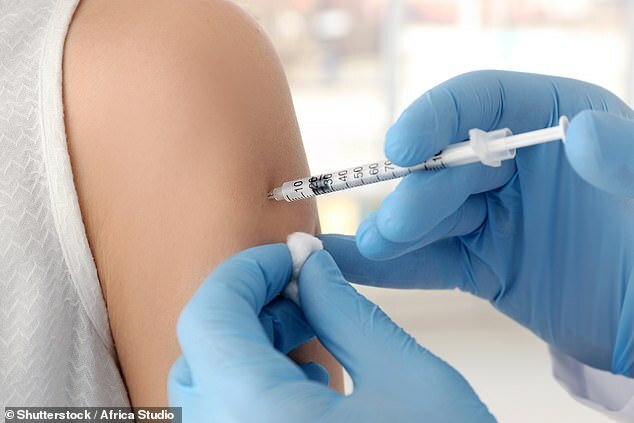 Free winter flu jabs are being taken up by less than half of Britain’s expectant mothers. Despite overwhelming evidence that it protects both them and their unborn babies, only 47 per cent were vaccinated last winter and this year the uptake could be even lower. Only 44 per cent have had the jab so far, according to official figures. Women who suffer severe flu while pregnant are far more likely to have premature babies or children with a low birth weight or even birth defects. Research shows that vaccination also makes stillbirth significantly less likely, and that expectant mums who do have a jab pass on some of the protection to their babies, which lasts for the first few months of their lives. All pregnant women are offered a free NHS flu jab and Dr Richard Pebody of Public Health England, has warned them: ‘If you are pregnant you need the flu jab at this time of the year. It is the safest way to help protect you and your baby against flu. ‘You and your unborn baby are at higher risk of complications from flu because you have reduced immunity. The NHS encourages expectant mothers to be vaccinated because pregnancy leave them less able to fight off infections, exposing them to such dangers as pneumonia and sepsis. 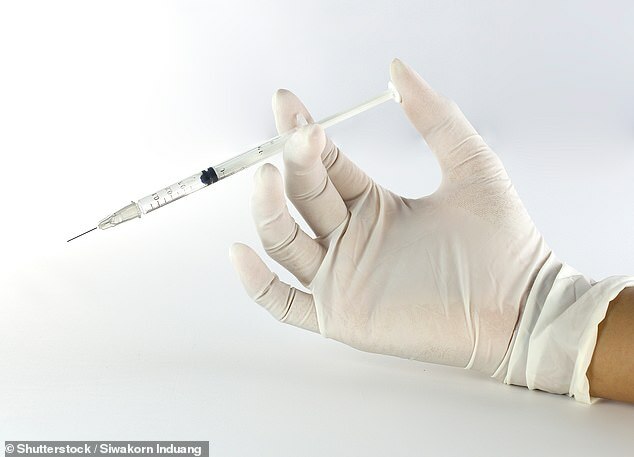 Experts believe some are put off because they fear the jab might harm their babies. But studies have definitively shown that it is safe to have the vaccine at any stage of pregnancy. Breastfeeding or bottled milk – the debate has long raged over what’s best for baby. But it seems the choice can determine a range of factors – including which hand a child will favour. Researchers found that bottle-fed infants were more likely to be left-handed. Scientists think breast milk may have an vital role to play in the brain processes that decide so-called handedness. The US study was based on research involving 62,129 pairs of mothers and babies, including in the UK. Researchers found that mothers who breastfed for between one and six months reported a 15 per cent reduction in left handedness. For babies breastfed for more than six months, there was a 22 per cent drop. Researchers from the University of Washington School of Public Health suggest the process where the right and left side of the brain take on specialist functions takes place up to nine months from birth. The nutritional content of breast milk versus formula milk could have an effect, they argue in the journal Laterality: Asymmetries of Body, Brain and Cognition. And new research in America highlights the high risk to unborn babies if their mothers do get a bad case of the flu. Scientists from the US Centers for Disease Control and the University of Florida looked at the records of 3,300 pregnant women in five US states in 2009, when there was a major outbreak. Of those, 490 were infected with the common H1N1 strain of the influenza virus, which often fuels outbreaks in the UK, too. Those whose flu was so severe that they had to be admitted to intensive care – common in true cases of influenza – were four times more likely to have a premature baby and five times more likely to have one with a low birth weight. They were also nine times more likely to have a baby with a low score in the American Apgar test – an examination carried out in the first few minutes after birth which can highlight any serious health problems. ‘These findings support the importance of influenza vaccination among pregnant women and the importance of antiviral treatment as early as possible for pregnant women to avert severe illness,’ the scientists told Birth Defects Research journal. Senior researcher Dr Sonja Rasmussen, of the University of Florida said the findings also emphasised the importance of prompt antiviral treatment for pregnant women who are only suspected of having flu. Previous research by the University of Western Australia has shown that the jab also protects against stillbirth. Pregnant mothers vaccinated against influenza were 51 per cent less likely to have a stillborn child, a study of 60,000 births found.